Next week begins the 3rd marking period which means we are nearly on the downward climb of 6th grade! In math, all classes have been looking at the beginning skills of algebra with equations and expressions which will take us through the end of the month and into February. Khan Academy is always a great resource to lean on when stuck. If you are still having trouble logging into the math book website, let me know so I can get in touch with the people who can help! This unit of ELA has focused on the central idea of the text and summarizing. In the next unit, we will be reading our second novel of the year, Nothing But the Truth by Avi. Also, at the start of the third marking period, 6F will be back with me learning biology. Starting January 28, Verizon customers will no longer be able to receive text messages through Remind due to an increase in the service fee. If you are a Verizon customer, you can still receive messages through the free Remind app or by email. Please make sure you are still able to receive messages through remind if you have Verizon by signing up appropriately here! January 14-17: Box Top Blitz- Send in those Box Tops so we can have a Pizza Party!! 2018 is almost over and we are nearly halfway through our school year! Yesterday, 6th grade musicians shared their talents with us at our holiday concert. We are looking forward to other festivities throughout the month including time with our 3rd grade buddies and our Holiday Shine Time. Check out the list of important dates at the bottom of this post! Our focus this month for character education is manners and courtesy. 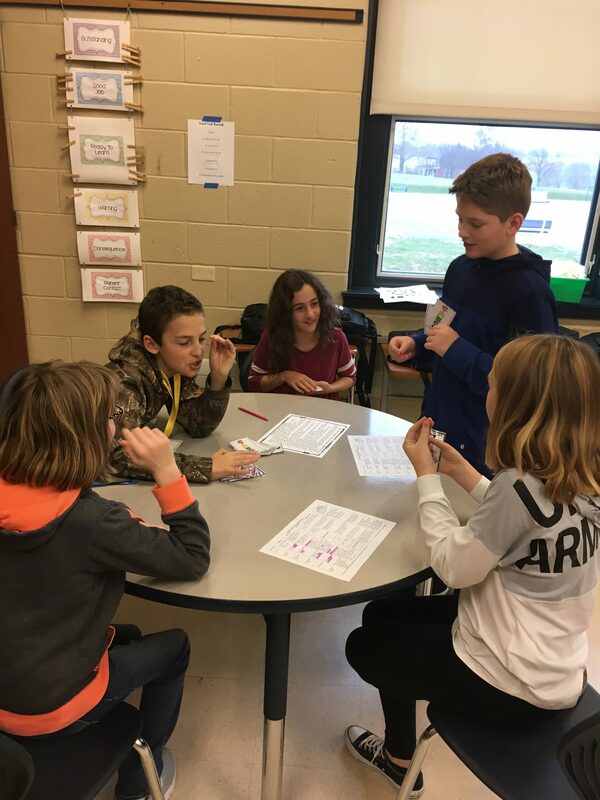 Students are designing infographics that will be posted around the school sharing younger students important etiquette tips they all should remember. In math we are working with integers & the coordinate plane and will shortly move on to algebraic expressions. Khan Academy is always a great resource to continue practicing skills. 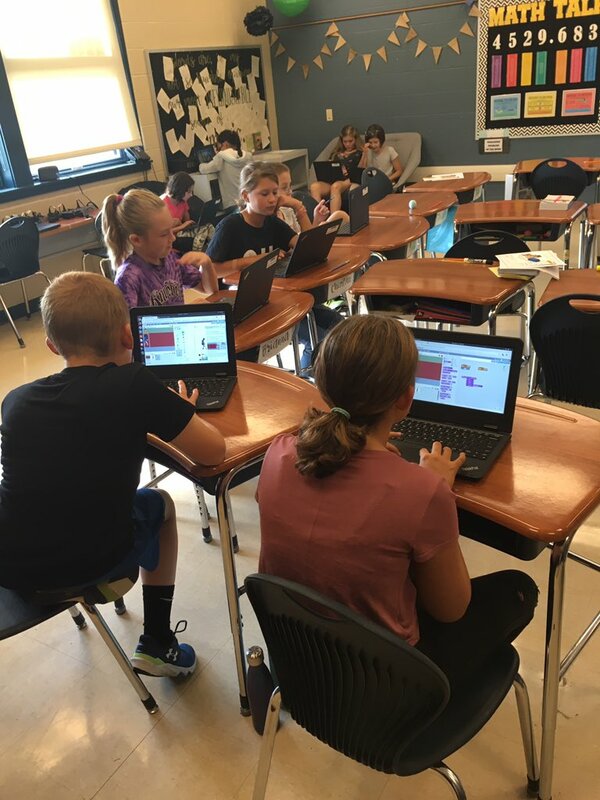 My math class will soon start working with coding video games using what they learn about coordinate planes and algebraic expressions, and I can’t wait to see what they create! Research suggests that a positive school climate can support student success. 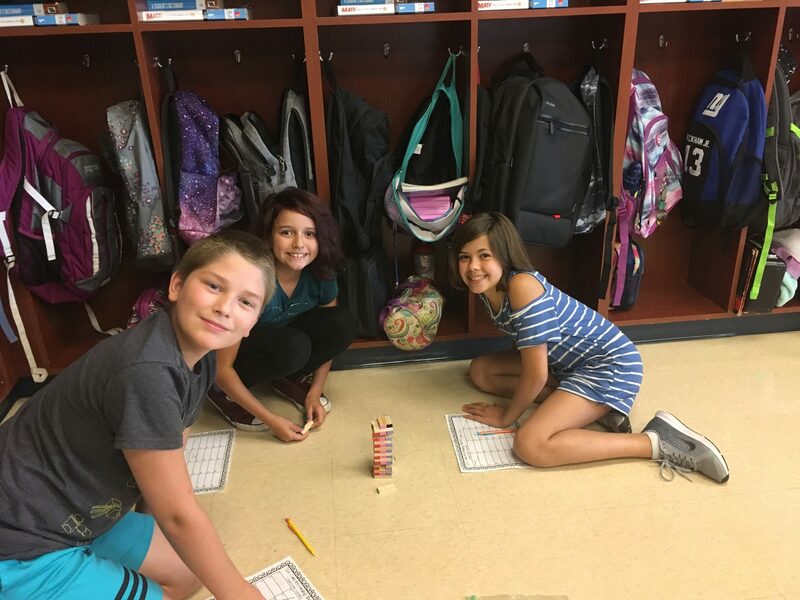 This year, Central Manor Elementary School has again decided to gather data on students’, staff, and parents’ perceptions of the school climate. This data will help the school leadership team and staff continue to identify areas of strength and areas for improvement. When you reach the survey website, please look for the “CLICKING HERE” hyperlink near the top of the web page. The survey will be open until Friday, November 16, 2018. We plan to have several locations set up throughout the school on Wednesday, November 7, 2018 during parent/teacher conferences. Please look for a computer in the office, downstairs lobby by the playground doors, and/or in the beach area in or K-2 wing of the building. Another option is to complete this survey at home on your personal computer. Please help us improve the school climate by taking 5-10 minutes to complete this survey. Families with multiple students, please take this survey one time only. If you choose to complete the survey, please send in a brief note to the office stating you did so. Your name will be entered into a random drawing to win gift cards to local stores. Several winners will be chosen. A new month and a new marking period has just begun! 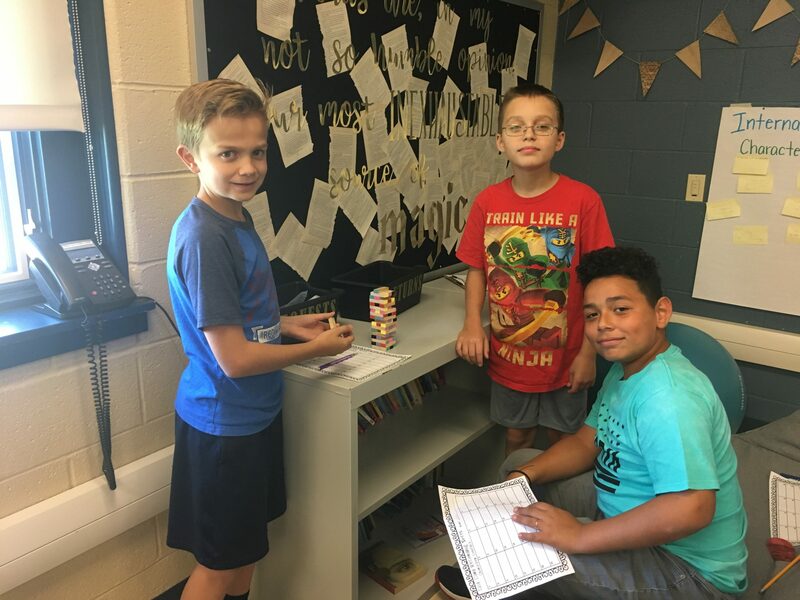 We seem to finally be in the swing of things in sixth grade and are looking forward to many new things in the next few months. In math, we all just finished learning about operations with decimals. We’ve moved on to multiplying and dividing fractions for the first half of November. Have your child practice their skills as you divide and multiply those Thanksgiving recipes in a few weeks! Toward the end of November, we will dive into integers and coordinate planes. Don’t forget that students can log into the math website with the username and password in their planners for extra practice and tutorials whenever they need it. This is great tool especially when they are out sick! We have started our second unit in ELA on nonfiction texts. Students have studied different text features authors choose to use in nonfiction texts and their purposes. Later this week, students will design their own hotel brochures utilizing many of these features. The second half of our unit will focus on nonfiction text structures. Check out the nonfiction text bookmark attached below to see all we are learning. 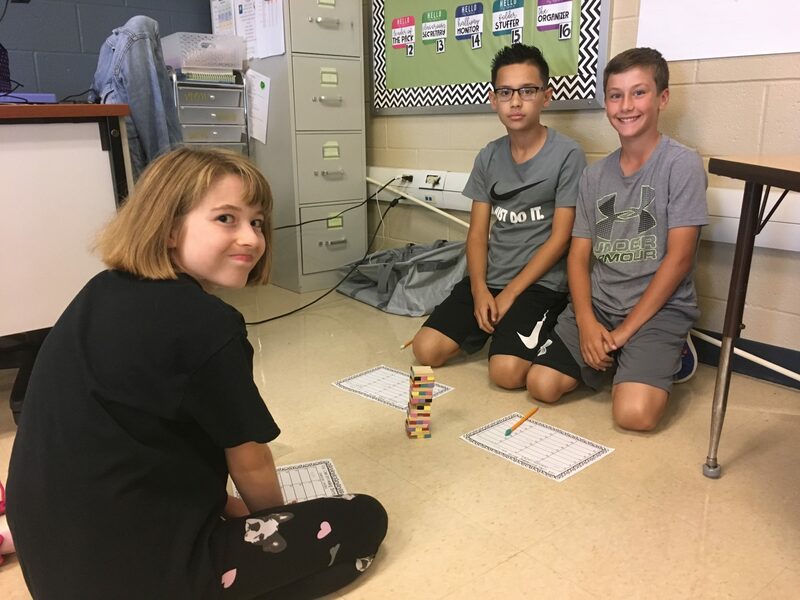 In Social Studies, students just finished up US history with Mrs. Schoelkopf and are just beginning with Mrs. Brinkman. This month they will get to dig into their own history as they learn about the roots of their family and country. We are also looking forward to meeting with veterans who will be visiting and sharing with us a few times this month. The November book order is due on November 16th. If you would like to purchase any books as holiday gifts for your child, please let me know and I’ll make sure they get to you secretly! There are many great choices and deals in this order! This month at Central Manor is all about teamwork! Today we took the Myers-Briggs personality test to determine our role when we are a member of a team. Students are filling our bulletin board with shout outs when they see others exhibiting great teamwork. Next week is Teamwork Spirit Week…check out the dates below to know what to wear each day! We are wrapping up our first unit of ELA on fiction. We are about to finish Ghost and move into our second nonfiction unit. The second book in the series, Patina, is available through Scholastic (along with Sunny & Lu, too)! All math classes are working in chapter 3 with adding, subtracting, multiplying, and dividing decimals. Your student should have a login to the McGraw-Hill website where you are able to find extra practice and tutorials. Please be practicing basic math facts at home! Xtramath.com is a great website for this! Conferences times are coming home this week along with a questionnaire that will help guide our conversation. It will stay just between us and you are welcome to send it back in a sealed envelope. Please fill this out and send it back by November 1. Sub Sales & Book Orders are due this Friday (10/19). Tuesday 10/23: “Scrabble”-Attach a letter to your shirt. Can you find other students and make some robust vocabulary? Wednesday 10/24: PJ Day-Teamwork makes the DREAM work! This week, we spent some time digging into computer programming with Scratch. Sixth graders recreated a scene from Ghost in with coding as a short movie clip. 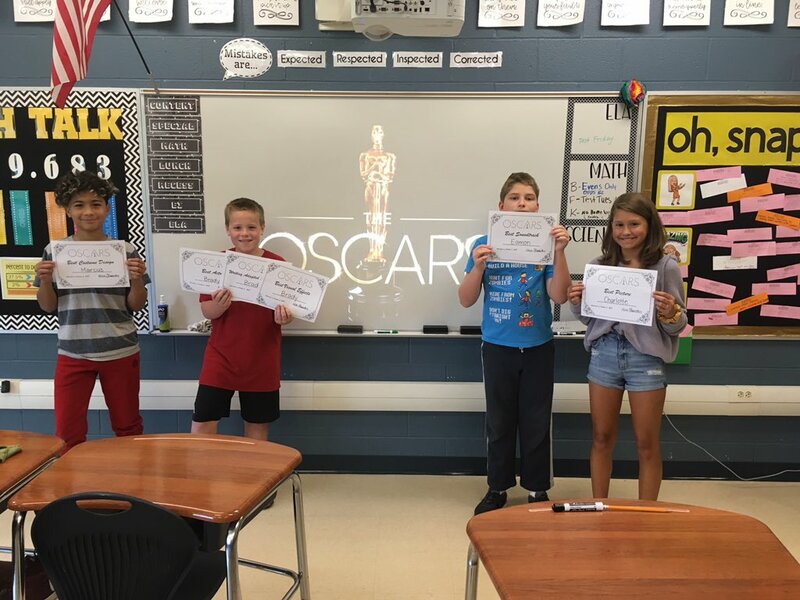 On Friday, we held the Oscars in 6F with nominations in the categories of Best Picture, Best Soundtrack, Best Visual Effects, Best Writing Adapted Screenplay, Best Actors, and Best Costume Design. The stakes were high, and students rose to the occasion. Our grand winner coming in with a total of 3 Oscars was Brady. Check out his clip! I’m not one to write journals. I mean, you should remember what happened less than a day ago. You shouldn’t have to write it down. But things have been weird lately. They’re always weird, actually. But I didn’t imagine this happening. Let me start at the beginning. As usual, I headed to Mr. Charles’s store. Surprise, surprise. After passing the gym again, I saw the same group of kids at the track field. This time, I made a mistake that I wish I hadn’t made. But my curiosity got the best of me. I decided to watch these running morons. Hmm, let’s see who I saw. Of course the coach, who can easily be mistaken for a turtle with a chipped tooth..
And the runners, there was a weird kid who the coach called Sunny, who was always getting yelled at, a girl that everyone would call Patina, and a tall narcissist named Lu. How do I know that he’s a narcissist? Everyone ran, including Lu, who was the fastest, and everyone was praising him for it. I got sick of it. “Lu’s still the one to beat” kept ringing in my ears. Can you really blame me for being annoyed? Oh wait, I’m not talking to anyone. Uhm. long story short, I challenged him to a race and tied with him. At least those other kids know that the tall white-black boy wasn’t all he was cracked up to be. Anyone could race him. After grabbing my backpack and heading out, Coach What’s his name walked up behind me. He asked me if I wanted to join his track team. Yeah, he actually thought I’d say yes. I said no. Basketball is my thing. Not running around in circles until I puke. But I want to stop writing now because my fingers hurt, so basically he was able to convince me. He asked me if I needed a ride. Yeah, an adult man who you just met asked you if you needed a ride. “Hey, kid. Want a ride?” Sounds like something a 25 to 37 year old with a black hoodie and a silver tooth would ask. But these other kids were cool with him, so I decided I would take the ride. After a while, we saw my mom and asked her to hop in. She was reluctant, but she finally got in the cab. Did I mention it was a cab? No? I don’t care. Anyway… They made a deal. That if I made just ONE mistake in school, I couldn’t join the track team. Just one! How am I supposed to do that!? Ugh.. Writing it down don’t do nothing about it, and my fingers REALLY hurt. So, I’m going to wrap it up here. Today we had a visit from NED’s Kindness Adventure at Central Manor. We learned about differences in culture when we compare our lives to Kenyans’ lives. At the end of the assembly, students were told that they would have the chance tomorrow and Friday to buy “Kenyan treasures.” Profits from these purchases will support future assemblies at other schools and the building of wells in Kenya for clean water. All items cost between $8 and $15. Check out this link for more information! The past 2 weeks 6th grade have been digging into elements of fiction in ELA! 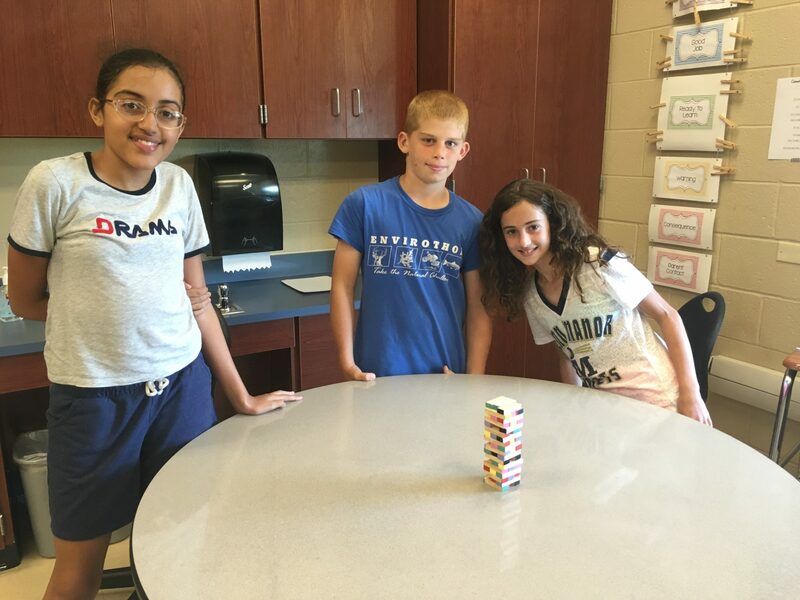 We rapped with Flocabulary to learn about story elements, studied Pixar shorts to explore the plot mountain, and challenged each other games of Jenga to practice types of conflict. Each sixth grader has a fiction bookmark with the elements and structure of fiction explained. Take some time this week to talk through the bookmark with your child about the book they are currently reading (ex. Ask, “What is the point of view?” or “Where do you think you are right now on the plot mountain?” or “What type of conflict is happening in the chapter you are reading now and why?”). 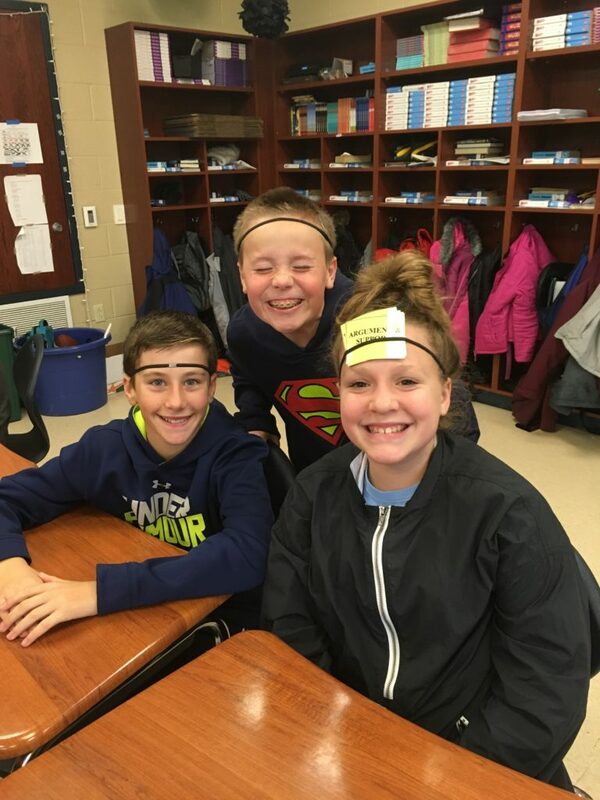 This is a great way for you to get a peek into what sixth graders are learning and help them cultivate the skill of talking about literature. All of these pieces of fiction also have motions to go along with them that are hopefully now permanently drilled into our heads, so have your sixth grader share them with you! I’ve included a pdf of the bookmark for you to check out at the bottom of this post. We are almost ready to begin our first novel study of the year with these skills. 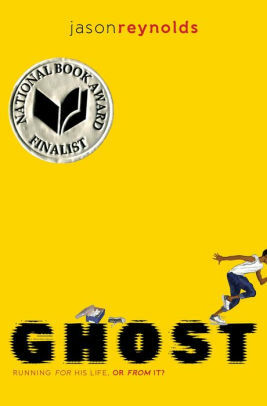 We will be reading Ghost by Jason Reynolds which will take us to modern day New York City where some unlikely kids train for the junior Olympics. This book is the first in a series of 4 and the final one, Lu, will release this October! best compact treadmill on Welcome.